The LINK-MICRO from SPYPOINT is the easiest-to-use, most affordable, and smallest cellular trail camera available on the market. 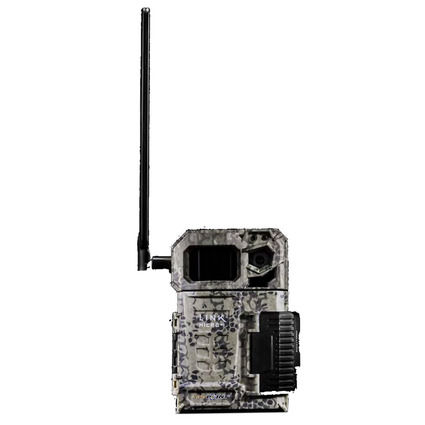 If you’re one of the millions of hunters who thought that cellular-capable trail cameras were too expensive for you, SPYPOINT has changed the game, and this camera is for you. A simple, three-step process activates the LINK-MICRO using the SPYPOINT app. The SPYPOINT app also allows the user to change settings, monitor camera status, and view images from virtually anywhere in the world. The SPYPOINT LINK-MICRO truly represents the next evolution of efficiency and affordability for cellular trail cameras. 4G Network, 0.5 second trigger speed, 80 foot flash range, uses micro SD, 2 year warranty! New Monthly Plans Available.